Tanzanian money is known for having wild animals on the front. The 1997 Tanzania 500 Shillings banknote features a Giraffe on the front. The Tanzanian Shilling (Shillingi) currency replaced the East African shilling in 1986 to become legal currency in Tanzania. 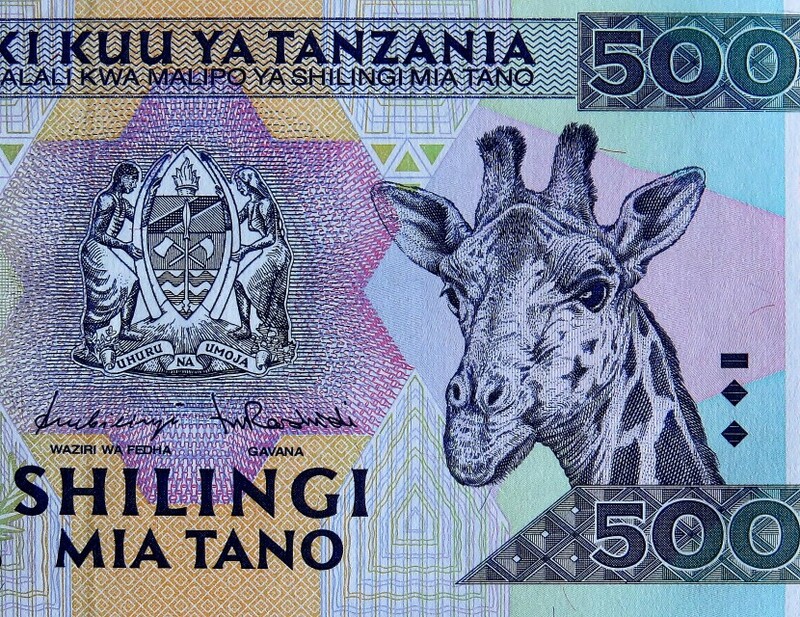 The 1997 Tanzania 500 Shilling Giraffe banknote was replaced in 2003 and became obsolete as legal tender in Tanzania. The 1997 Tanzania 500 Shillings banknote is a collectible memory of Tanzanian money and Giraffes! Checkout Tanzanian banknotes with lions here! Banknotes are more than just money. A country’s currency tells a story of the culture and history of a country. In our current era of digital money actual printing of banknotes is becoming obsolete. Increasingly rare banknotes not only provide collectible memories but also can be considered small investments.